Twenty-two journalism students from SJS attended High School Journalism Day at the University of Central Arkansas on September 14. They took part in a series of workshops and heard a guest lecturer from the University of Florida discuss "The State of Student Press Law." One of the workshops involved broadcast journalism. 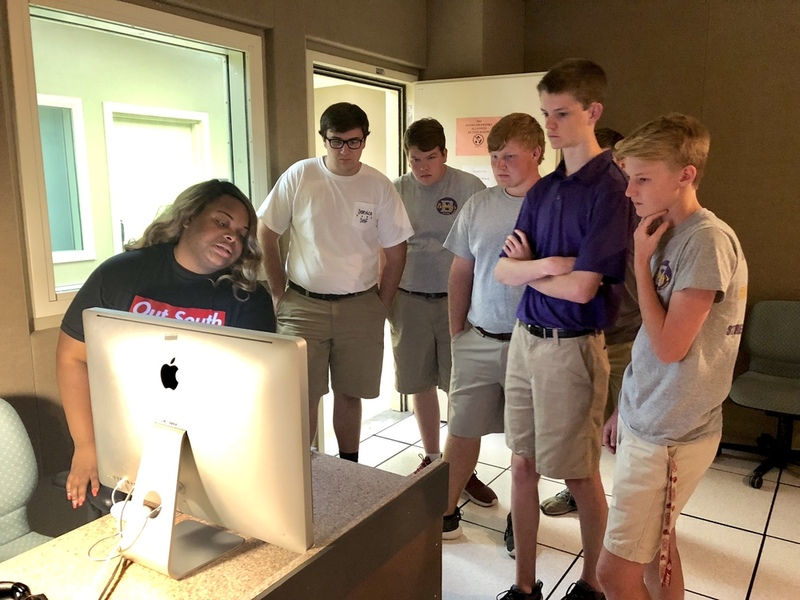 (left to right) Zach Royal, Jacob Hofherr, Tim Coney, Nick Chambers, and Austin Parker are seen here in UCA's Channel 6 studio listening to a station producer explain its production schedule.